Montreal’s municipal election is just around the corner. Are the polls right? Will Team Coderre take the helm for the next few years? Will we get an Harel in Côté clothing? Will we finally see a woman in city hall’s top job? Will Richard “green transit” Bergeron have us riding in electric streetcars? And what about all of those independents? Which candidate has the best platform when it comes to equity and diversity? Over the next few days, we will be posting the information that the candidates have made available about their diversity and equity plans for Montreal. One way or another, by the morning of November 4th, we’ll know who will be faced with the daunting task of cleaning up the mess at 275 Notre-Dame East. Let’s just hope it’s someone who truly has our city’s best interests at heart and who understands the value of our multiethnic, multicultural, multilingual, multieverything society. Published by Adrienne Piggott on 2013/10/25 at 02:44 under Montreal Votes. 0 comments. The McGill Daily has an interesting editorial on the McGill community’s silence when it comes to issues of race. Check out “Let’s talk about colour“. After you read it, add your voice to the conversation: register for one of SEDE’s safer spaces workshops, leave a comment, or simply talk to your friends about issues of diversity, racialization, and tolerance. Published by Adrienne Piggott on 2013/10/17 at 19:30 under McGill Content. 1 comment. In Québec, the French and English media have been buzzing about a letter penned by Janette Bertrand and signed by a number of well-known Québec feminists. This letter (see English translation here) states that these women feel compelled to speak out in support of the Charter of Québec Values because equality between the sexes is being compromised in the name of freedom of religion. These women contend that unless Québec women stand up and fight, men will use religion to oppress women, just as they have always done. In their opinion, legislation is required to ensure that women are protected from their misogynistic faith, whether they like it or not. However, another Québécoise has a different perspective. She also wrote a letter that somehow, the French media missed. Fortunately, it was picked up by the World Observer Online. In her letter, Sophia Baig, a young Muslim woman, muses on how others can “free” her by dictating to her what her freedom must look like. From her perspective, being told how to live in order to be allowed to fully participate in society meets her definition of oppression. Ms Baig states that wearing her hijab as part of practicing her faith is her choice. She notes that we are free to choose differently. She also states that we are free to feel angry, uncomfortable, or annoyed by her hijab. However, those feelings should not be reason enough to take away her choice. The way she sees it, it doesn’t matter who is trying to force your hand; being forced to remove her hijab would be no different from being forced to wear one. Published by Adrienne Piggott on 2013/10/17 at 04:06 under Quebec Charter of Values. 0 comments. Two steps forward and one step back. Some days it looks as though it’s one step forward and two steps back. Despite the fact that it can sometimes be disheartening, it is important to keep our eyes open and face reality. The world is an imperfect place. There is inequality, injustice and discrimination here and elsewhere. The good news is that if we spot it, we can act on it. We can work together to stamp out inequality, injustice and discrimination. Our better world is just around the corner, but we have to build it. Every week, we will share links to five stories that highlight discrimination, injustice, inequality. One day, maybe there will be more encouraging news than discouraging news, and these articles won’t be quite so easy to find. First Nations leaders are less than impressed with the Harper Government’s Aboriginal Affairs Minister and his education reform plan. Once again, it looks like a case of The Government Knows Best. Unfortunately, it would appear that the Canadian Government isn’t learning from the mistakes of the past. Native leaders speak of minimal consultation and no commitment to funding. Somehow, we haven’t learned that the people in the best position to formulate a plan to educate children in First Nations communities are people from First Nations communities. Montreal is a great city to study and live in. It has a diverse cultural scene, the nightlife is varied and vibrant, and the food is outstanding. However, if you happen to be disabled, Montreal can be a city of obstacles and challenges that many of us may overlook. Most of the public transit system isn’t wheelchair accessible, don’t try to roll down Old Montreal’s cobblestone streets without help, and if you are looking for an accessible bathroom after dark on a weeknight, good luck. While we may understand why universal design principles weren’t considered in a 200-year-old building, it is more difficult to understand why a 5-year-old restaurant doesn’t have an accessible restroom. Gay bashing is undeniably disturbing. In the case of the attack on Scott Jones it is made all the more disturbing by of the age of the alleged assailant. 27-year-old Scott Jones will be paralyzed from the waist down for the rest of his life. His 19-year-old attacker is now facing charges that will probably see him locked up for the foreseeable future. Who taught this young man to be so full of hate? Why would you be willing to risk your freedom to harm someone whom you don’t know, who doesn’t know you, and who has never done a thing to hurt you? How can the mere existence of another person drive you to such an act? We still have such a long way to go. Since the PQ Government first hinted at their plan, the Québec Charter of Values has been the cause of much discord within the province. Unfortunately, the province’s Muslim women appear to be suffering the most as formerly closeted bigots feel empowered to step into the light. Regardless of which side of the debate you stand on, most of us will agree that violence of any kind is not the answer. Which countries have the best multicultural policies? Does Canada score higher or lower than a seemingly open country like The Netherlands? Does having good policies necessarily translate into a better quality of life for the minorities living in those countries? If Québec insists on having a Charter of Values, is France truly the best model to choose? Diversity is a complex beast. Québec isn’t the only place that faced with the challenges of cultural plurality. Which country would you most like to emulate? Published by Adrienne Piggott on 2013/10/15 at 02:44 under Discrimination. 0 comments. Whenever we talk about race, disability, first peoples, women’s issues, and queer people, more often than not, we hear stories of discrimination, inequity, and heartbreak. However, there is also good news out there, and it is important to celebrate the small victories along the road to a better world. Every week, we will share links to five stories that celebrate diversity. The news isn’t always bad. Every day, there are strong people who are overcoming adversity, excelling despite the odds, and fighting the good fight. One day, maybe there will be more encouraging stories than discouraging ones, and these articles won’t be quite so difficult to find. Do you have an eight? Go Fish! Do you have an Ace? Go Fish! Do you have 1 million pounds of salmon? They do at the Lax Kw’ alaams fish processing plant! This First Nations community turned a rundown fish plant into a state-of-the-art success story. Several communities on the West Coast are finding creative ways to combine tradition with innovation to build sustainable, successful industry. This is the story of one community that combined investment, elbow grease, and luck to rebuild a flagging fishery. While running is often depicted as a solitary sport, the running community is made up of people from all walks of life and from almost every country. It is one of the reasons that the Boston Marathon bombings were so unsettling. Traditionally, marathons have allowed us to witness incredible athletic ability and inspiring moments of support and sportsmanship. The bombings ripped through an event that has always brought people from around the globe together in celebration of their sport. Fortunately, some people won’t let a little thing like losing a limb hold them back. They rise to the challenge and show us that as long as the spirit is willing, the rest will follow. Recently, some of the newly disabled runners who survived the horrors of that day began their new adventure as amputee runners. Once again, people from all walks of life came together in celebration of their sport. Being a teenager is tough. Being a transgender teenager is tougher. Montreal has some great resources for transgender youth. 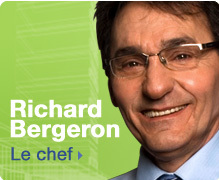 The Montreal Children’s Hospital already has it’s own Gender Variance Program. Now, Toronto has just created a new resource for Ontario kids who are brave enough to own their identity and to seek the help that they need, instead of becoming another one of those devastating statistics. Let’s hope that the new transgender youth clinic at the Sick Kids hospital will add to the momentum so that all transgender youth will eventually have access to resources in their communities. While we sit here debating the “feminist merits” of the hijab and the right of Quebec citizens to wear it, Muslim women have been bravely fighting for women’s rights in places where speaking out can be deadly. We have all praised the strength and determination of young Malala Yousafzai. Her hijab certainly doesn’t appear to be squashing her self-determination. However, there are countless other amazing women who will not be silenced by their governments, by warlords or by anyone else. If you haven’t already been introduced to her, meet Malalai Joya. She’s not scared. We’re number 1! We’re number 1! Technically, this story is more than a week old, but since this is the first “week in diversity” post, I decided to include it anyway. Our new principal has done us proud by being the first principal to denounce the proposed Quebec Charter of Values. By clearly stating that McGill’s values include diversity, our principal is letting minorities know that we are welcome here. To paraphrase the ad, at McGill “we care what’s in your head, not on your head”. 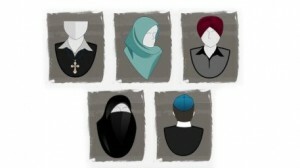 Whether our professors wear a hijab, a kippah, or a turban is not what’s important. We want to be surrounded by bright, engaged, talented people who come to work inspired and inspiring. That’s what the McGill community should be. Published by Adrienne Piggott on 2013/10/14 at 20:10 under Good News. 0 comments. The proposed Charter of Quebec Values has left many of us wondering what happened. When did our province become so completely derailed? How is it possible that a province of immigrants has come to vilify The Other? What is the cutoff date between Us and Them? This province has never been home to a single, monolithic culture, and we cannot legislate one into being now. Over the coming months, there will surely be large and small protests against this xenophobic charter, and we are all called upon to make our voices heard. Do not be the good man or woman who stood by and allowed “evil to triumph”. Instead, raise your voice, hold up your sign, march in the protests, wear your black armband. It is up to us, the good people, to ensure that everyone’s rights are safeguarded. Published by Adrienne Piggott on 2013/10/06 at 20:28 under Uncategorized. 0 comments. Ah… The ubiquitous question. You don’t look like me. You don’t sound like me. You can’t possibly be from here. Where are you from? Many, many people from minority groups struggle with this question (and many other people struggle with the answer). The question “where are you from?” can carry much more weight than those four little words should. It’s one thing to be asked that question when you are away from home, and quite another when you are walking around the city you grew up in. Being a black Canadian, I have answered everything from “my mother’s womb” to “third rock (from the sun)” and everything in between. I was born in London, Ontario, but grew up at McGill. I am the first in my family to be born in Canada, and while I am proud of my family’s island heritage, I am very proud to be a Montrealer. I am not from anywhere else. So, I ask you: where are you from? 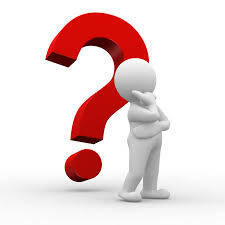 Have you been asked the question? Have you asked the question? Where were you (at home or abroad)? What happened when you answered? What happened when you didn’t get the answer you were expecting? Published by Adrienne Piggott on 2013/10/06 at 03:18 under Uncategorized. 0 comments.